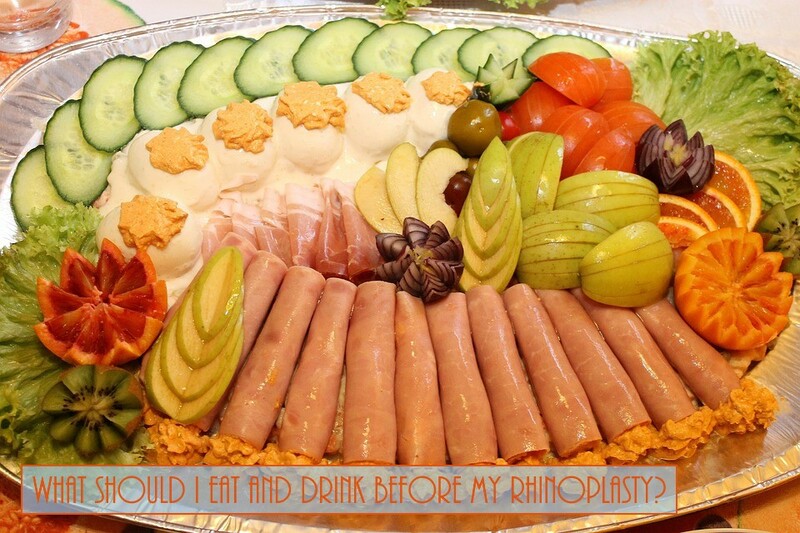 Home > Blog > What Should I Eat And Drink Before My Rhinoplasty? What you eat before surgery is important. You want to aim for a nutritious, balanced diet in the weeks before and after your procedure. If you don’t already eat a lot of vegetables and fruits each day, increase the amount you eat, so that you’re eating some sort of produce at each meal. It’s also a good idea to watch your salt intake in the weeks leading up surgery. Salt can raise your blood pressure, which can increase your risk for complications during or after surgery.